BEADING! Over the years, I’ve tried several craft hobbies, one of which is beading. I don’t spend much time with this, but every once in a while, I get inspired. Last weekend, my daughter offered to sit with me at my craft table, and we spent a pleasant afternoon. For necklaces, it’s usually a desire for a specific piece that I can’t find in the marketplace. For the Peyote stitch pieces, it was an interest in trying something new. 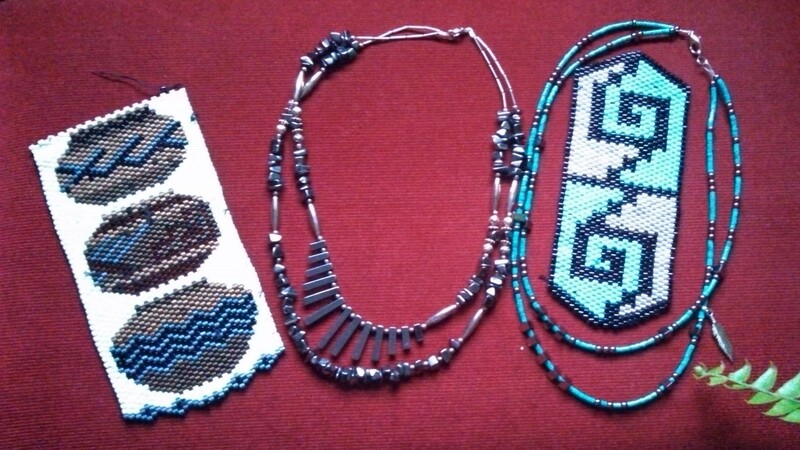 The necklaces I will wear, but I have no idea what to do with the Peyote stitch pieces.